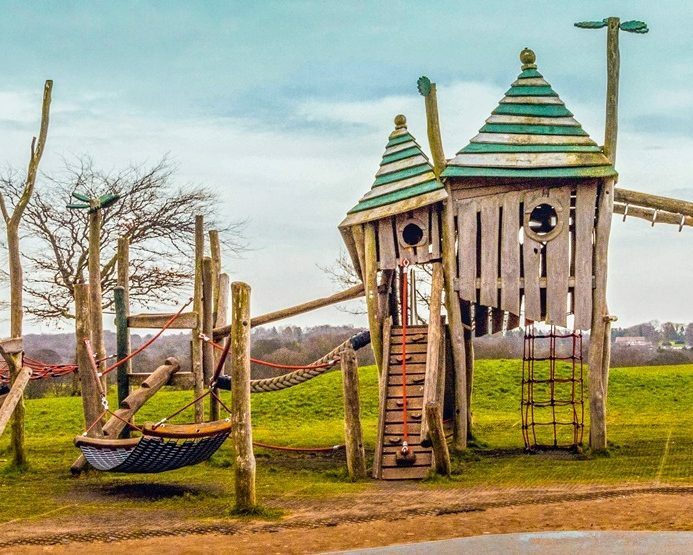 The playground by the Lakeside car park was originally designed for children of all ages. Following the opening of the new playground on Soldiers Field, this playground became largely used by under 5’s. Not only was much of the equipment unsuitable, it was worn and neglected. In early 2018 FoRP started fundraising with a target of £100,000 to fund a complete renewal. 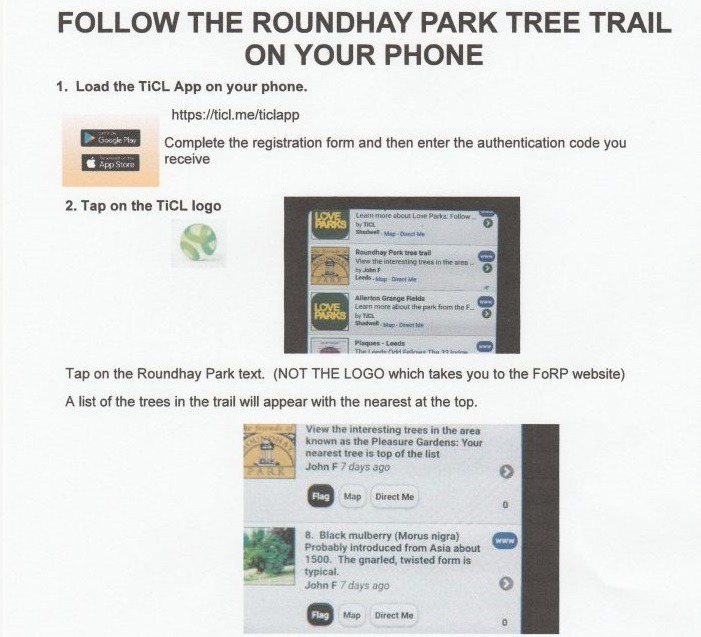 This free mobile phone App produced in 2018 replaces a booklet describing the many unusual trees in the area between the Roundhay Fox and the Mansion which was originally planted as an arboretum. Following concerns raised by the White Rose Canoe Club about the amount of rotting bread in the lake near the boathouse, FoRP produced the poster shown alongside However, we also provided an alternative food for the ducks and swans. For a small donation bags of proper duck food can be obtained from the rack in the entrance to the Lakeside Cafe. The rack is regularly re-stocked by FoRP volunteers. 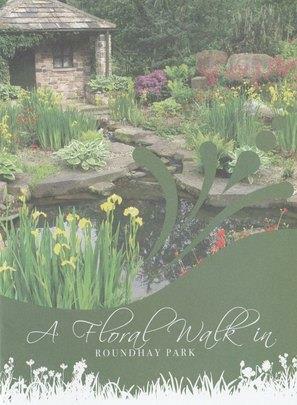 One of the outstanding features of Roundhay Park in spring and summer are the magnificent floral displays, especially in the area to the east of Princes Avenue and around Canal Gardens. Two members of FoRP provided the photographs and text. FoRP then paid for the design and printing of this leaflet. Copies are available free of charge from Tropical World reception. The area between the Roundhay Fox and the Princes Avenue car park was very gloomy and poorly lit at night so FoRP paid for the installation of the lights in the trees along the edge of the Park and continue to pay for their maintenance. Partially funded by Dine at the Mansion, this leaflet introduces the visitor to many of the interesting features of the Park as it was transformed from a wealthy owner’s country estate to the public park we know today. 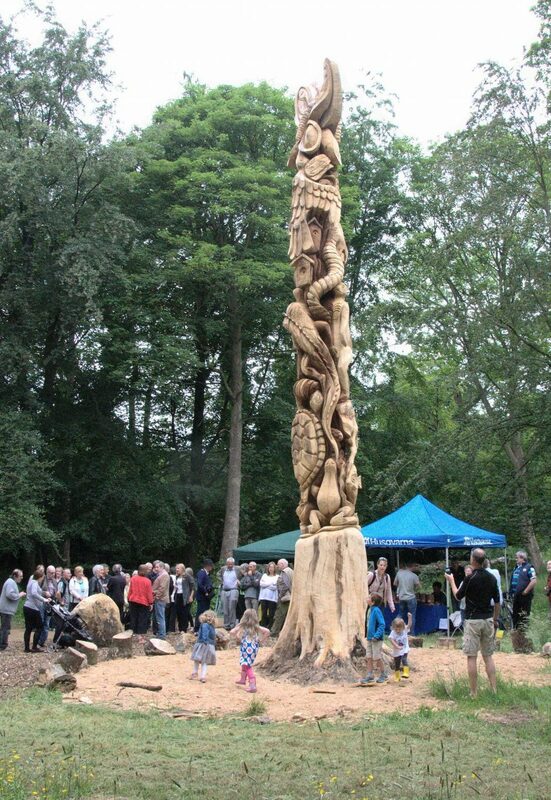 The leaflet won the Leeds Civic Trust Snaith Award for projects Increasing the understanding of the Built or Natural environment. Copies are available free of charge from Tropical World reception. The geology of Roundhay Park is very interesting, being located on the edge of the Yorkshire coalfield. The booklet is a guide around the most notable geological features of the geological history of the Park. It was produced By Bob Reid and Bill Frazer. Bill leads walks two or three times a year, giving a fuller explanation of the features mentioned. 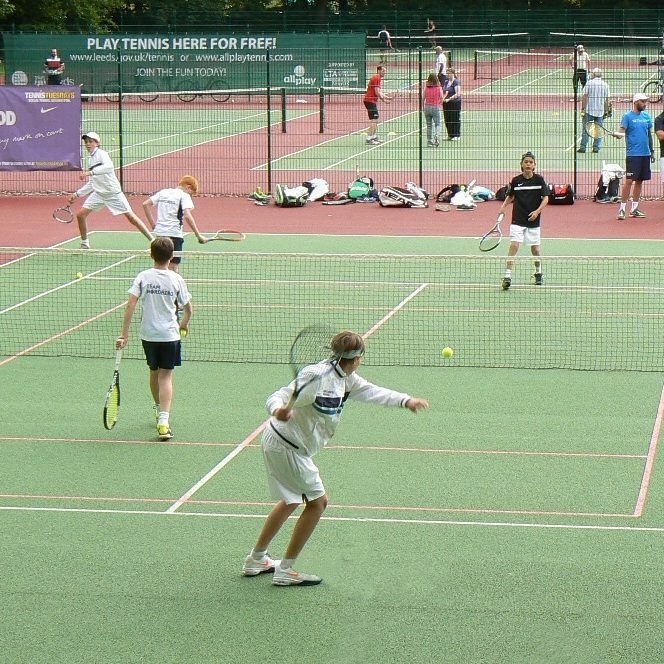 FoRP has also been involved in and consulted on other major projects undertaken by the Parks and Countryside Department such as the design and siteing of the Princes Avenue playground, the refurbishment of the tennis courts and the improvements to Tropical World.